Name patches can use block or cursive fonts. 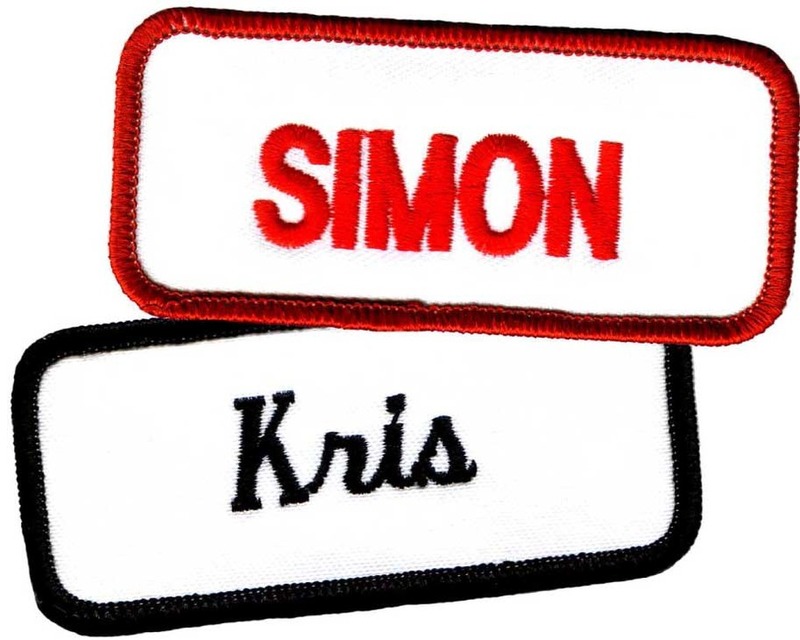 It’s the ultimate in personalization, placing an employee’s name on a colorful embroidered patch. Usually displayed on the upper right or left corner of a uniform coat or shirt, a name patch provides individual identification, personalization and a serves as a friendly customer service tool. Name patches can be created in block capital letters, cursive script writing or virtually any type font. Companies and institutions use the patches to help promote friendly customer interaction, familiarizing employees with the customers they serve on a one-time interaction or a regular, even daily basis. 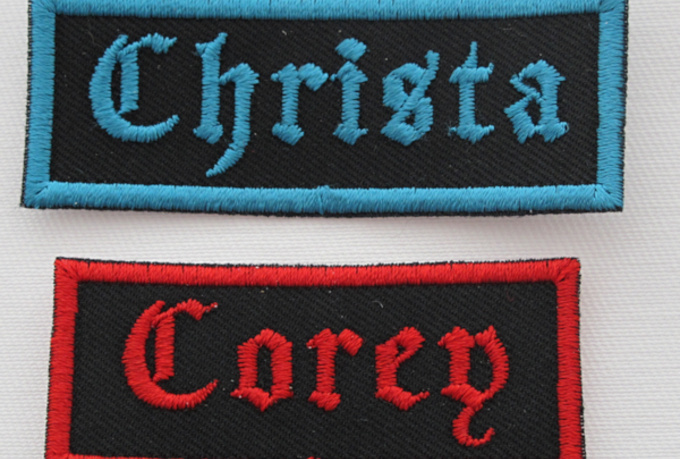 Embroidered name patches usually have dark letters on a white background, but any color combination is possible. 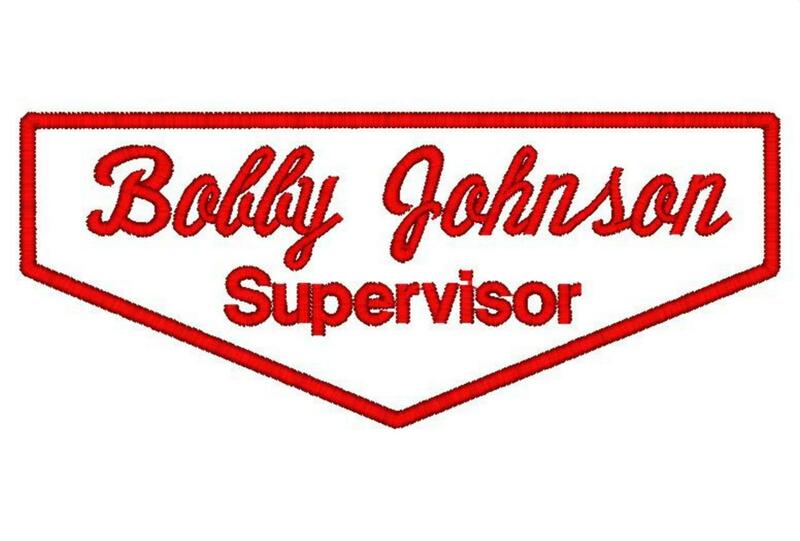 Using embroidered patches for workers names has several advantages. Unlike pinned-on plastic name tags that can be lost or damaged, an embroidered patch is permanently affixed to a shirt, coat or other work apparel item. A patch provides a much more professional and permanent appearance than an adhesive “Hello, My name is_________” adhesive sticker. These sticky badges can also fall off. Embroidered patches can also be transferred from a worn out garment; direct embroidery of a name on an item of clothing is truly permanent –once the shirt is stained or torn, it must be discarded. If an embroidered name badge is used, the patch can be saved and reused. This patch also denotes a person’s job and the die-cut is designed to be sewn on a shirt pocket flap. costly customized embroidery work. Usually a single color thread is used on a white canvas background material, but variations are possible with colored backing or multi-colored thread patterns. To learn more about how embroidered patches can improve the professionalism and public appearance of your business or institution, contact the Chicago Embroidery Company, sales@c-emblem.com , visit www.c-emblem.com or call 312-664-4232.